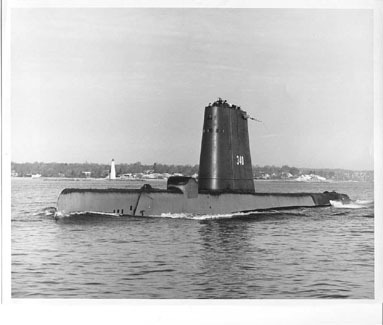 SS-340 originally named Chickwick was renamed Entemedor on 24 September 1942 and launched 17 December 1944 by Electric Boat Co. Groton Conn.; sponsored by Mrs. E. V. Izac; and commissioned 6 April 1945 Lieutenant Commander W. R. Smith Jr. in command. Entemedor reached Pearl Harbor 29 June 1945 from New London en route to Midway for advanced training and to prepare for war patrols. She put to sea on her first war patrol 24 July and served as lifeguard for air strikes on Marcus Island before sailing on to patrol off Japan. When hostilities ceased she was ordered to Saipan where she arrived 17 August. The submarine returned to Seattle 22 September 1945 and began a program of training operations along the west coast from San Diego. In 1946 and 1947 she made extended cruises in the Far East basing at Subic Bay. She was decommissioned and placed in reserve at Mare Island Shipyard 10 December 1948. Recommissioned 24 October 1950 Entemedor trained off the coast of California and on 2 January 1951 sailed for New London and through the remainder of the year operated in the Atlantic. On 31 January 1952 she entered the Electric Boat Co.'s yard for extensive modernization was placed in commission in reserve 28 February 1952 and returned to active status 17 October 1952. Every second year beginning in 1953 Entemedor deployed to the Mediterranean to serve with the 6th Fleet and from her home port at New London also sailed for a midshipman cruise to northern European ports in the summer of 1958 and to Portland England in February 1960. Her stateside operations included participation in large-scale exercises off the east coast and in the Caribbean and serving as target for TF "Alfa " in development of antisubmarine warfare techniques. Through 1962 she continued to operate from New London.